Vladislav Namestnikov scored the tiebreaking goal with 6:35 remaining in the third period and collected two assists as the New York Rangers rallied from an early two-goal deficit and snapped a season-high six-game losing streak with a 4-2 victory over the visiting New Jersey Devils. The Rangers beat the Devils for the third time in as many meetings and rallied from a 2-0 deficit for the second time, thanks to Namestnikov, who was moved up to the first line. 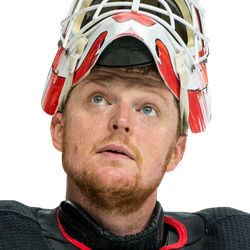 New York went ahead after Namestnikov helped keep possession of the puck by prying it away from New Jersey goaltender Cory Schneider, who tried to smother the puck after the Rangers moved it out of the right corner. Instead of the play resulting in a faceoff, Namestnikov wrested possession away from Schneider, moved to above the right circle a few seconds later, took the feed from Mika Zibanejad and lifted a wrist shot into the net. Ryan Strome scored late in the second period and rookie Libor Hajek scored the tying goal early in the third before exiting with a shoulder injury. Strome then added an empty-net goal with 9.6 seconds left. The Rangers announced after the game that Hajek suffered a separated shoulder. Damon Severson and Blake Coleman tallied in the final 3:34 of the opening period but the Devils matched a season high with their sixth straight loss. 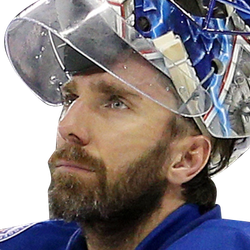 Henrik Lundqvist made 22 saves and helped stabilize the game after the first period. He kept the game tied with about 17 1/2 minutes left by making a glove save on defenseman Egor Yakovlev during a 2-on-1 and then preserved the lead by reaching behind his body to stop a shot by Kenny Agostino with 19.7 seconds left. Schneider made 37 saves and stopped the first 23 shots he faced before Strome scored. Severson made it 1-0 when his slap shot from the left point trickled under Lundqvist's right pads with 3:34 left. Coleman made it 2-0 by re-directing Will Butcher's slap shot from near center ice under Lundqvist with 10.1 seconds left. The Rangers finally came through with 98 seconds left in the second when Strome dug the puck out of the boards behind the net, quickly fed Kevin Shattenkirk and went to the net. Shattenkirk patiently waited before releasing a shot from near the blue line and Strome tipped it over Schneider's stick. The Rangers tied it 89 seconds into the third when Hajek joined the rush above the right circle, waited for a cross-ice pass from Chris Kreider and lifted a wrist shot over Schneider's glove and off the crossbar.